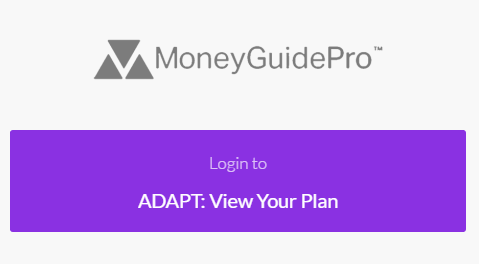 Click on the purple button that will take you to your financial plan log in screen. 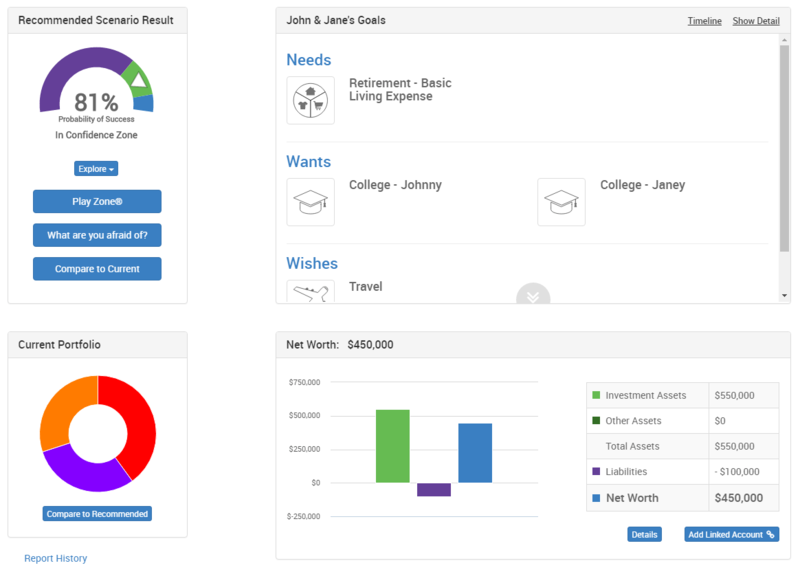 Enter your log in information for your financial plan. 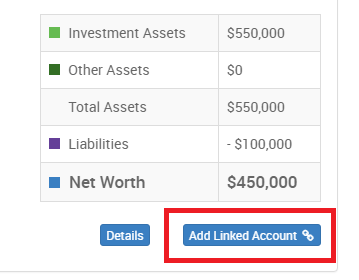 To add linked accounts to your financial plan, click the button in the bottom right that says “Add Linked Account”. 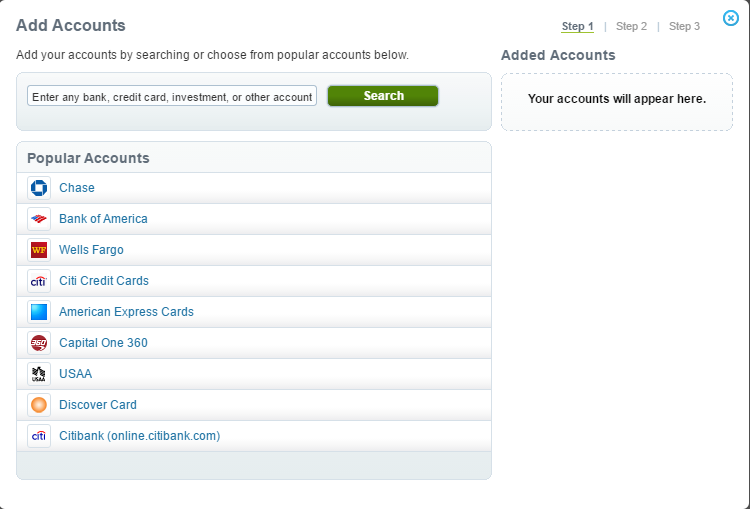 This will take you to the “Accounts” screen. Click the “Add Account” button. 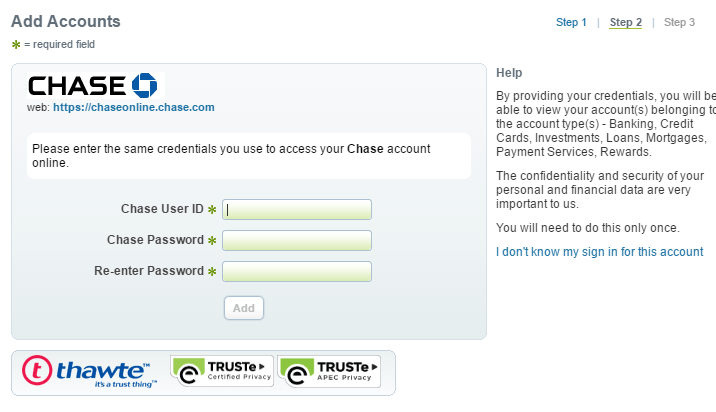 For example, if you banked at Chase, click Chase and it will take you to their log in screen. 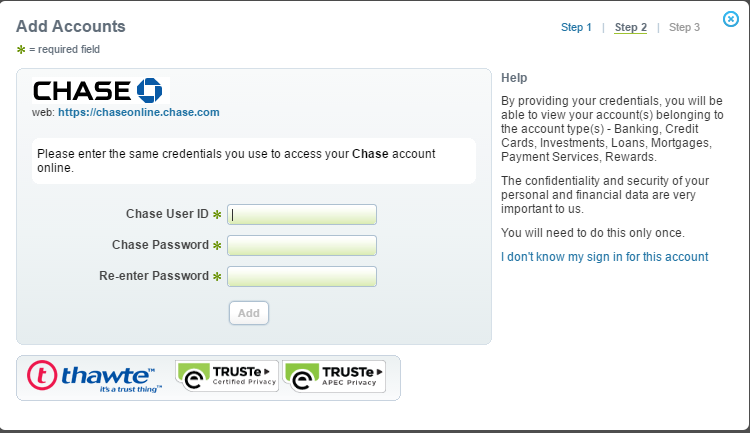 Enter your log in information associated with the institution you chose and press “Add”. 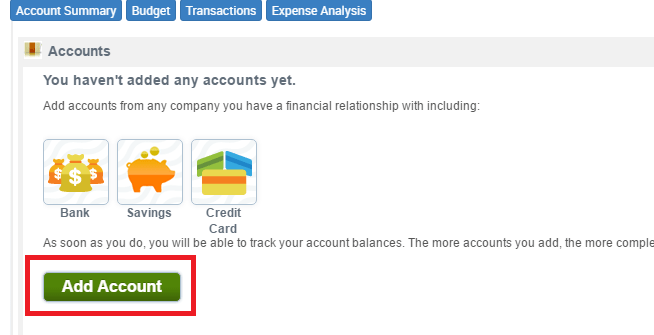 This will begin the import of the account balances to the plan. This could take a minute or two depending on the number of accounts being linked. 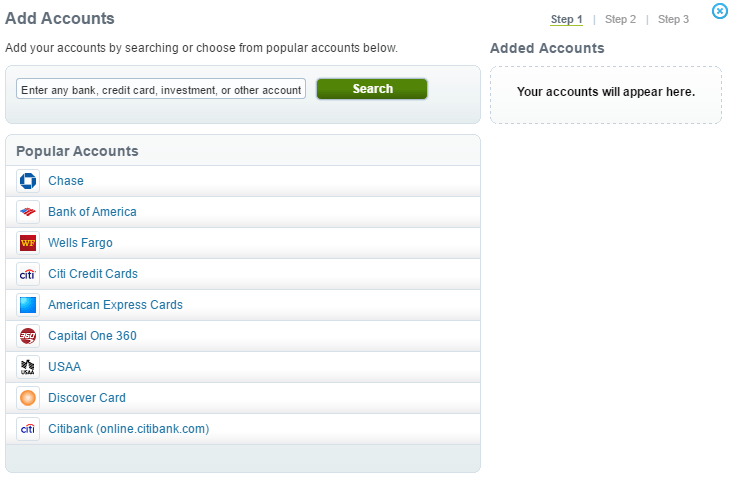 Once that is completed, your accounts associated with that log in will be imported. 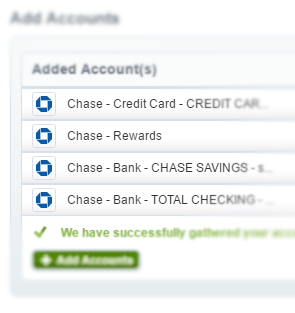 You can repeat this process with as many accounts, credit cards, or other financial institutions that you use. Remember, the more information the better!